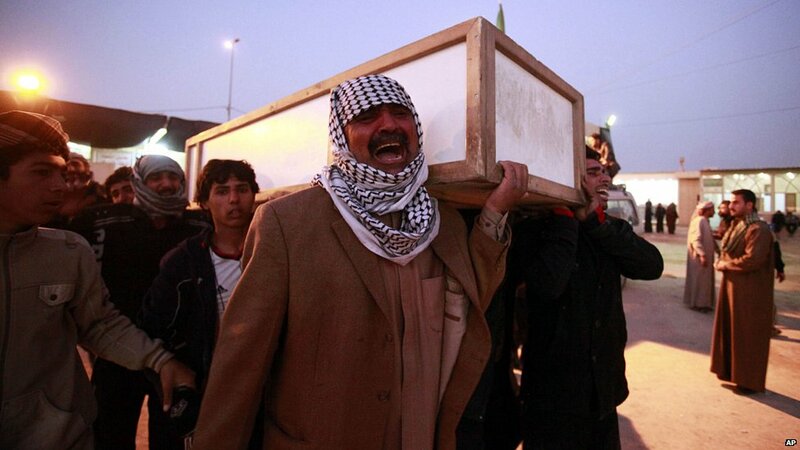 Scores of people were killed in bomb attacks in Iraq on Thursday. 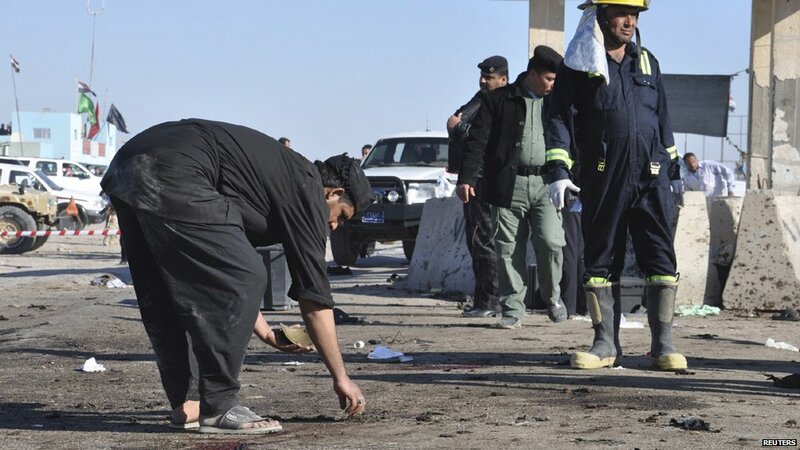 Officials said about 44 died when a suicide bomber attacked Shia pilgrims near the southern Iraq city of Nasiriya. A provincial government website said the pilgrims had been walking towards the holy city of Karbala when the suicide bomber detonated an explosives belt at a rest stop. 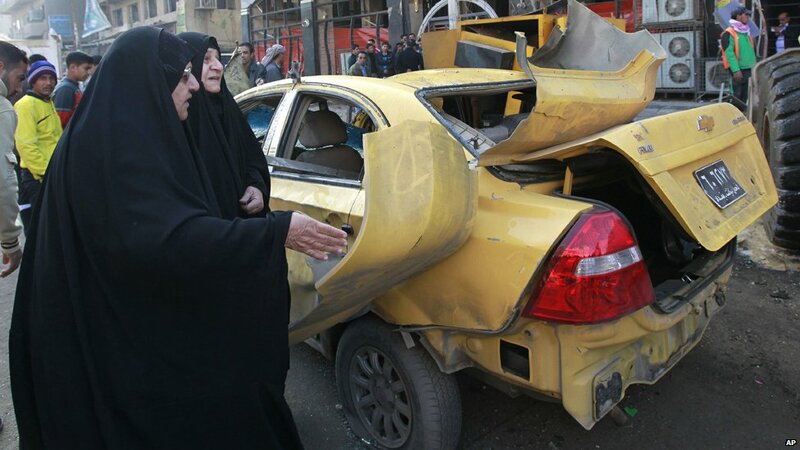 Two bombs were earlier detonated in the Shia areas of Kadhimiya and Sadr City in Baghdad, the Iraqi capital. 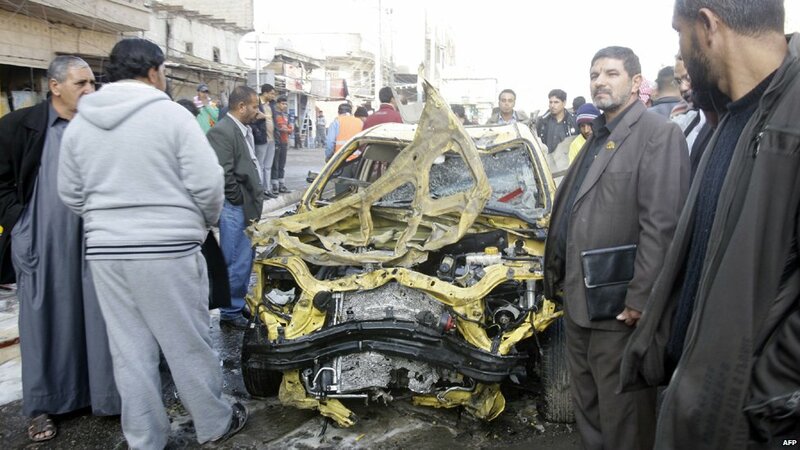 Officials said 15 people were killed and 66 injured in the Kadhimiya blasts. 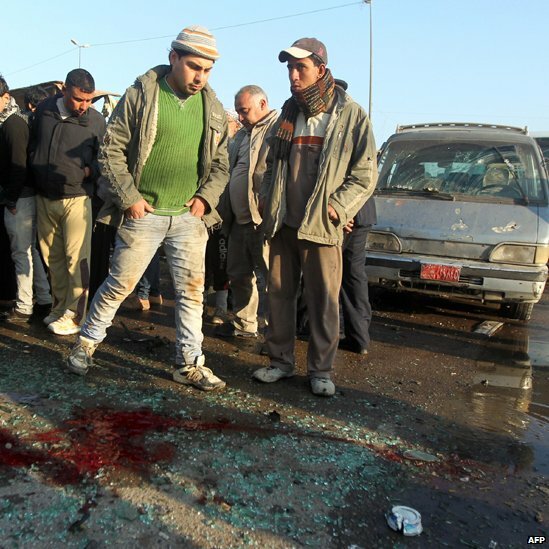 In Sadr City, a motorbike bomb and a roadside bomb killed at least nine people. 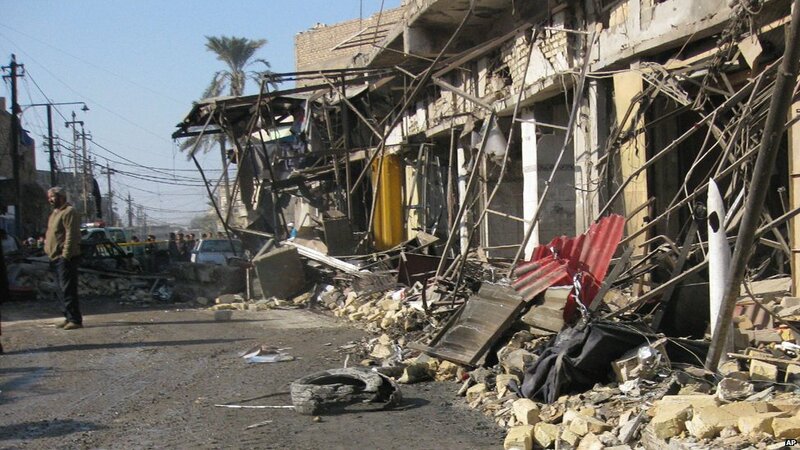 Officials said the first Sadr City bomb was detonated in an area where labourers were gathering to look for work. The second bomb was detonated about half an hour later. 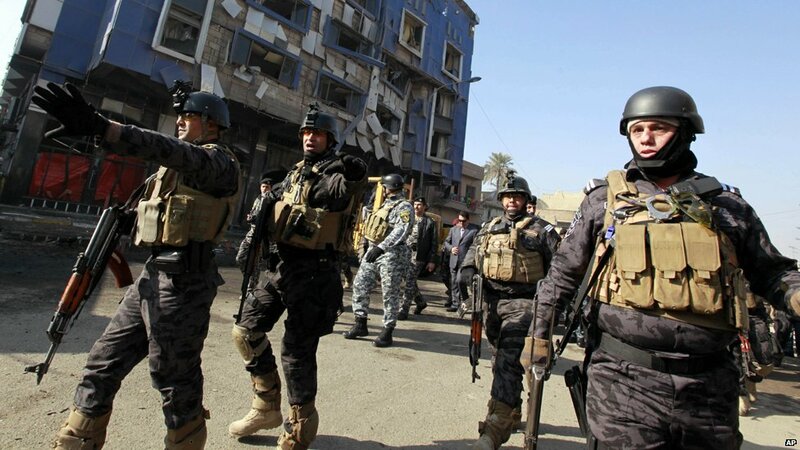 Iraqi military spokesman Maj Gen Qassim al-Moussawi said the aim of the attacks was "to create sedition among the Iraqi people". 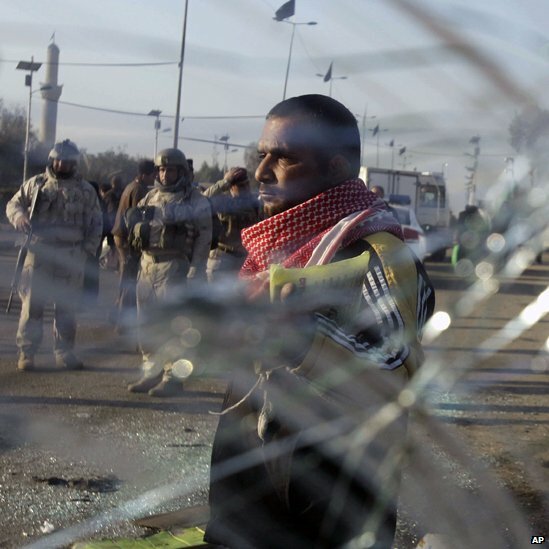 Sectarian tensions have risen after the last US combat troops left Iraq in December and an arrest warrant was issued for Sunni Vice-President Tariq al-Hashemi. Many of the funerals took place in Najaf, a Shia holy city between Nasiriya and Karbala, where the pilgrims had been heading.